Adapting the spiritual philosophy of Eckhart Tolle is no easy task, but that’s exactly what writer-director Barnet Bain has done with “Milton’s Secret.” Based on Tolle’s 2008 children’s book, the family drama stars William Ainscough as a 12 year-old boy dealing with workaholic parents at home (Mia Kirshner, David Sutcliffe) and bullies at school. 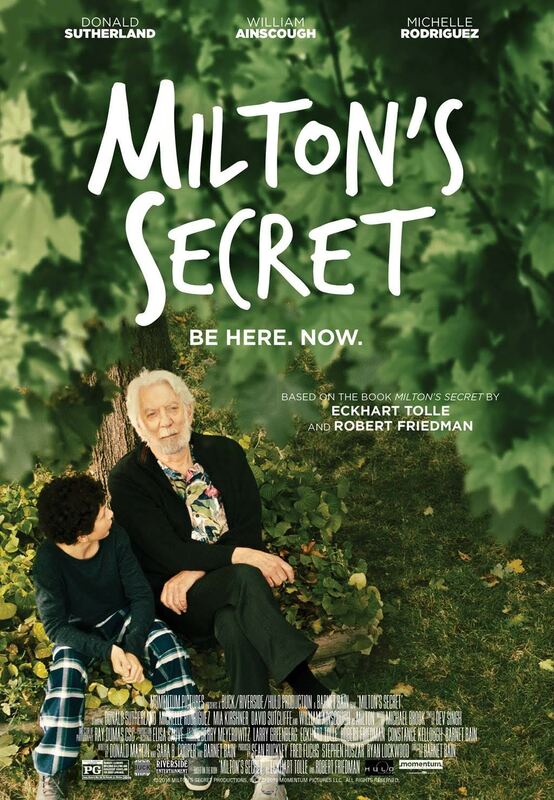 When his grandfather (Donald Sutherland) visits, Milton learns rehashing the past and worrying about the future are preventing him from finding true happiness. The book was written as a way for Tolle to communicate his “power of now” self-help philosophy to children, and it appears the movie will do the same. The author serves as an executive producer on the project, which also costars Michelle Rodriguez. IndieWire is excited to premiere the official poster for the movie below, as well as announce that “Milton’s Secret” will open in theaters September 30 via Momentum.